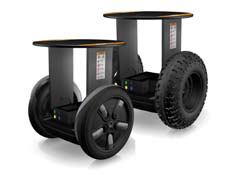 The Bi-Wheel Robotic Chassis (BWRC) Series is a powerful, highly maneuverable, two-wheeled mobile robotic platform. It has advanced dynamic stabilization, allowing it to remain balanced, even while carrying a heavy payload. The size, reliability, and mobile characteristics of the BWRC make it right choice the researcher designing a robotic solution requiring a quick and agile chassis in a small package. The BWRC provides a simple solution for powering devices such as sensors, embedded PCs, a laptop PC, or even manipulators. This system can be recharged using an external, off-board charger. For Government Pricing, contact us to request a quote. Marine Corp System Command robotic unmanned lead vehicle for the U.S. Marine Corp Route Reconnaissance and Clearance (R2C) Capability Set (CapSet). Robotic system will assist with the detection of Improvised Explosive Devices (IEDs). Our Attitude Heading Reference System (AHRS) with GPS, offers a range of fully calibrated inertial measurements including acceleration, angular rate, magnetic field, deltaTheta and deltaVelocity vectors, Euler angles (pitch, roll, and heading), rotation matrix and quaternion. 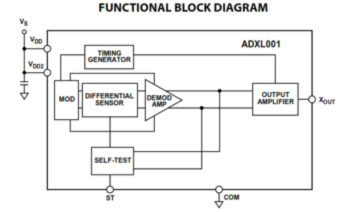 Its GPS data quantities include LLH position, NED velocity, ECEF position and velocity, DOP data, UTC time, GPS time, clock info, GPS fix, and SVI. All quantities are fully temperature compensated and are mathematically aligned to an orthogonal coordinate system. The angular rate quantities are further corrected for g-sensitivity and scale factor non-linearity to third order..
What is Multiple Degrees-of-Freedom Sensing?